the flour in the bag is done at Weatherbury Farm. 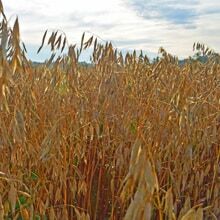 Weatherbury Farms grains are classified as Heritage ( Hard & Soft Wheat and Rye ), Gluten Free ( Buckwheat, Corn and Oats ), Ancient (Spelt), and Exclusively Weatherbury (Einkorn and Emmer — unique grains which are being developed here at Weatherbury Farm ) and Beans. Used to make bread flour, Maxine is a fairly modern German variety that is well adapted to growing in the northeast. It has very good baking properties and is used by bakers for all types of leavened, unleavened & sourdough baked goods. Bread, made with Weatherbury’s Bread Flour, ground from Maxine wheat, has been called “life-affirming” by eater. com. Learn more about this year’s crop on the 2018 Maxine Hard Red Winter Wheat Grain Tracker page. Developed by several USDA breeders in conjunction with North Carolina State. 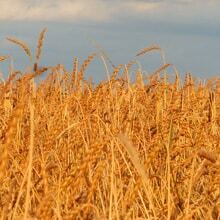 Appalachian wheat flourishes in our region. 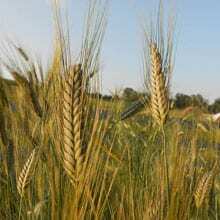 The eastern United States is not hospitable to growing hard wheats because the area’s humidity increases the incidence of disease in the fields. Appalachian wheat produces a flour that is whiter in color and milder in flavor than Weatherbury’s Bread Flour. Learn more about this year’s crop on the 2018 Appalachian Hard White Winter Wheat Grain Tracker page. Weatherbury’s pastry flour, which has a lovely silky texture, is ground from Fredrick Wheat. Area bakers are enthusiastic about using our pastry flour in pie crusts, cookies, cakes and our award winning cornbread! Fredrick is a winter wheat developed under the auspices of the Ontario Cereal Crops Committee and does well in our area. Fredrick was developed in 1959, under the supervision of Fredrick Gfeller (hence the name) and licensed in 1971. Learn more about this year’s crop on the 2018 Frederick Soft White Winter Wheat Grain Tracker page. Wheat is an excellent source of protein, dietary fibers, manganese and selenium. Wheat’s fiber boosts the digestive process and improves overall metabolism. The vitamin B content of wheat provides you with energy. Additionally, the complex carbohydrates in wheat keeps you feeling fuller longer and give you energy over a longer period. Managanese, which wheat is rich in, acts as a co-factor for greater than 300 enzymes involved in the production of insulin and glucose secretion. Wheat’s betaine content prevents chronic inflammation, which is a key constituent in rheumatic pains and diseases. Additionally, its anti-inflammatory property reduces the risk of ailments like osteoporosis, heart diseases, Alzheimer’s disease, cognitive decline, and type-2 diabetes. 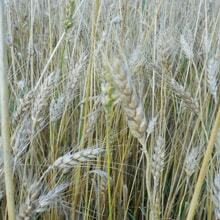 Danko rye, developed at the Polish Plant Breeding Institute, Poznan, Poland, is a true milling-type rye. 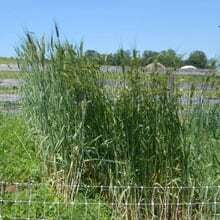 Many of the ryes grown in the Northeast are cover-crop varieties, with small seeds and a high bran-to-starch ratio. This makes them a poor choice for baking, malting, and distilling. Danko, however, has large, plump, berries with an interesting flavor balance between spicy and bready. It is a favorite among beer makers and distillers; bakers, of course, love it to make authentic European-style rye breads. Danko rye also does well in our area. Rye is the traditional bread for people from Germany east to Russia and north to Scandinavia. This area is known as the rye belt because it is where most of the world’s rye is grown and consumed. People have undervalued the benefits of rye for a long time, but today many people are starting to use it for its numerous health benefits. It can help you lose weight, boost your metabolism, control your glucose levels (good for fighting diabetes), and has a heart-healthy fiber which lowers cholesterol levels. Since the Whiskey Rebellion, Washington County has also been known for its rye (specifically rye whiskey). Not to worry, Weatherbury also mills rye into flour. 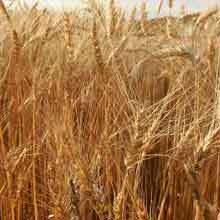 Learn more about this year’s crop on the 2018 Danko Rye Grain Tracker page. Spelt is one of the three ancient hulled wheats. Oberkulmer , a robust old Swiss landrace, is a true spelt with no modern wheat genetics. Weatherbury’s spelt flours have a lovely nutty flavor. Spelt is one of the healthiest foods. Prized for its superior nutrition, spelt is higher than wheat in protein, minerals and vitamins. It is gentle for the whole digestive tract and strengthens your immune system and your nerves. With a gluten entirely different from wheat, spelt imparts a nutty flavor. Sourdough spelt bread is thought by many to be the most tasty of breads. Spelt berries, with their chewy texture and nutty sweet flavor, can be used as a hot cereal, in a salad or in place of rice for a soup or pilaf. 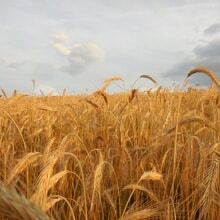 Spelt is protected from the elements by a hull which doesn’t come free in harvest (unlike the hulls on wheat which do). The removal of the hull prior to milling requires special machinery. Weatherbury is lucky to have a spelt dehuller, built by Farmer Nigel. Learn more about this year’s crop on the 2018 Oberkulmer Spelt Grain Tracker page. 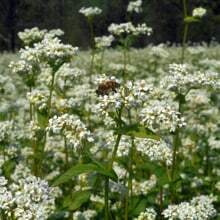 Buckwheat is a pseudo-cereal crop (it closest relative is rhubarb) that produces short, wide-spreading plants bearing bright green, heart-shaped leaves and lovely white ﬂowers. Since circa 4000 B.C. in the Balkan region of Europe, Buckwheat has been providing essential nutrients, vitamins, energy, and ﬁber to humanity. Buckwheat arrived in the U.S. with the European colonists. and, since that time, can be found growing in just about every corner of the globe. Buckwheat provides a high quality protein with all eight essential amino acids and is one of the best sources of protein in the plant kingdom. Despite its name, buckwheat actually doesn’t contain any wheat or the protein gluten. It is milled, however, on the same mill as wheat at Weatherbury so traces of wheat may remain, despite purging of the mill between flour types. Buckwheat contains Rutin, a phytonutrient, which is an important antioxidant for heart health supports liver, brain and digestive health. While buckwheat can be planted in the spring, at Weatherbury Farm it is planted after wheat to provide two crops in one year (an excellent soil utilization strategy). Buckwheat hulls make excellent garden mulch. Wapsie Valley Corn is an open-pollinated heirloom dent corn which dates back to the 1850s. It is two-color corn, producing ears of either all coppery red or all dark yellow kernels. Weatherbury’s open pollinated Wapsie Valley corn packs both a visual and a flavor punch. Cornbread made with Weatherbury’s cornmeal and sifted pastry flour has won three first place ribbons and one second place at the county fair three during the past five years. Corn is a spring planted crop. Because Weatherbury Farm is organic, we rotary hoe and cultivate the corn to lessen the impact of weeds. Corn is a rich source of vitamins A,B,E and minerals (phosphorus, magnesium, manganese, zinc, iron and copper). With a high fiber content, it plays a significant role in preventing digestive ailments. It is rich in phytochemicals which provides protection against a number of chronic diseases, such as Alzheimer’s. 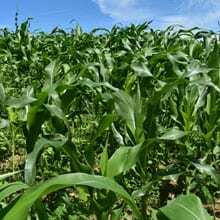 Learn more about this year’s crop on the 2018 Wapsie Valley Corn Grain Tracker page. Gehl is the first bald-seeded hulless oat; the hull threshes free from the oat groat which means it can be rolled “live” rather than being steamed prior to rolling. Customers tell us Weatherbury’s rolled oats are the best they’ve ever tasted. After we harvest our oats, they are triple-cleaned and rolled, with none of the processing used in producing commercial rolled oats. Thus, Weatherbury Rolled Oats have their natural vitality, nutrients and flavor. Oats are incredibly nutritious. They are a good source of carbs and fiber and are loaded with important vitamins, minerals and antioxidants. Oats contain a beta-glucan, a fiber found to be very eﬀective in lowering cholesterol. Oats also have avenanthramides, an antioxidant unique to oats, which may help protect blood vessels from the damaging eﬀects of LDL cholesterol and keep blood pressure low. We regret that Rolled Oats are not currently available due to crop failure in 2018. A splendid dark purple- black bean, grown throughout Latin America and at Weatherbury Farm. With their rich full flavor, black turtle beans are suited for everything from baked beans to soups to Latin cuisine. After harvesting, our beans are cleaned in three or four separate operations. For best results, beans should be soaked overnight before cooking to achieve optimum texture and flavor. Black beans are a nutritional powerhouse, loaded with protein, fiber, molybdenum, copper and zinc. They have more antioxidant benefits, gram for gram than other beans. Beans were one of the first foods that were gathered and prepared by humans; some researchers think that black beans may have been the first legume to be domesticated for food. Black beans were first consumed in Mexico and South America about 7,000 years ago. 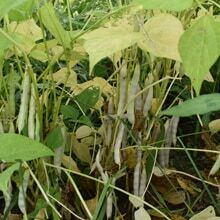 We regret that Black Turtle Beans are not currently available due to crop failure in 2018. Weatherbury Farm doesn’t wait for grains to become trendy and seed to become available. We are constantly collecting small samples of different grains and growing them out to find varieties that are compatible with our region. For example people are starting to talk about einkorn. 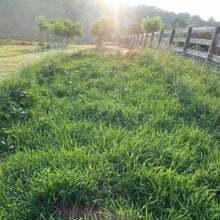 Weatherbury Farm has been growing einkorn on a plot scale since 2010 (Alpine Einkorn) and 2012 (Saxon Einkorn). We have been also been growing Obsidian Emmer on a plot scale since 2012. We planted small fields of Alpine Einkorn, Saxon Einkorn and Obsidian Emmer in 2018. However, the weather was not kind to our efforts and we were unable to harvest the crop. The good news is that the grains have re-seeded and we will hopefully be able to harvest them in 2019. Einkorn is the grain that started western civilization. And even today at taste testings, einkorn flat bread always rates best. It will be at least 2019 until Weatherbury Farm has einkorn flour on offer. As long as 30,000 years ago, hunter gatherers may have harvested einkorn in the fertile crescent. Archaeological evidence suggest einkorn was first domesticated in southeast Turkey. The Weatherbury Farm folks have seen it growing wild in Israel and Jordan. Cultivation of einkorn began to decline in favor of emmer around 2000BC, but still was cultivated in some parts of northern Europe through the 20th century. The use of einkorn has recently enjoyed a resurgence in popularity. It is known as farro piccolo. In the pictures above, you can see Weatherbury’s Alpine Einkorn and an einkorn plot from several years ago. 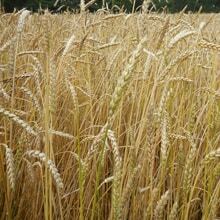 Weatherbury is also bulking another variety of einkorn, which we call Saxon Einkorn. Weatherbury Farm is also currently bulking Obsidian Emmer, a type of black winter emmer which is found in Germany, Switzerland and Italy. Depending on harvest, emmer may be available in 2019. 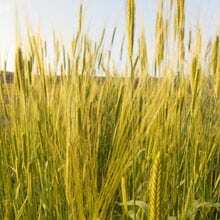 Along with einkorn, emmer was one of the first domesticated wheats in the fertile crescent. Like einkorn and spelt, emmer is a hulled wheat. It is popular in Italy and gaining popularity elsewhere as faro medio. Visitors to our website, weatherburyfarm.com, access information in different ways. You are viewing “Grains Grown” in “The Mill” section of our website. This information is also available as “Growing Organic Grains” under “Farming Operations” in the “About” section of weatherburyfarm.com.